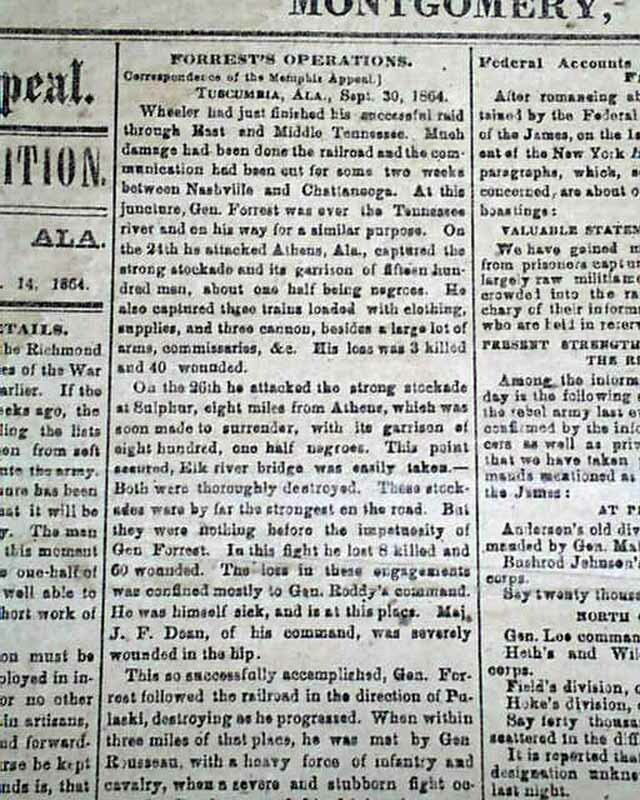 See the bottom of this listing for the fascinating history of this newspaper. 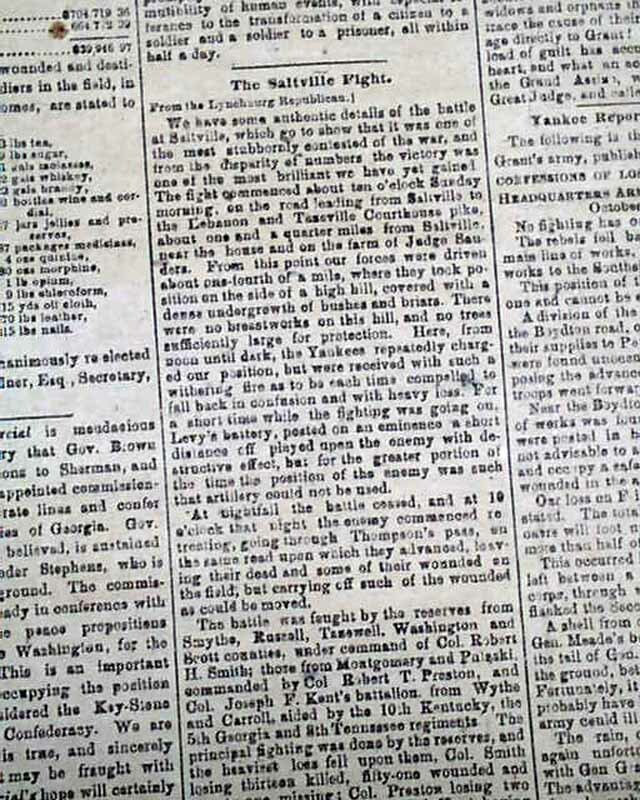 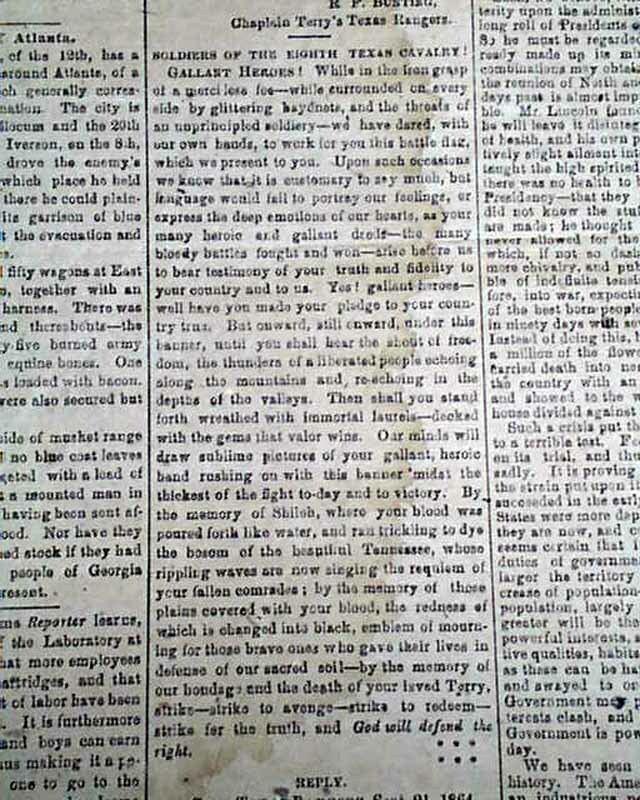 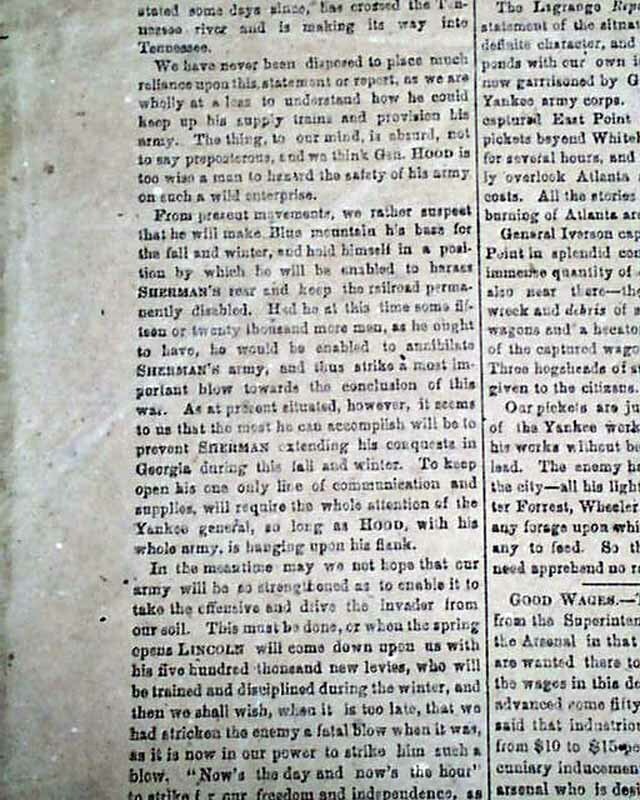 Among the front page items are: ""Forrest's Operations" taking half a column; "The Saltville Fight" "Federal Accounts from the Richmond Front" "Grant's Losses" "Yankee Reports from Virginia" "Peace" "From the Front" "General Orders No. 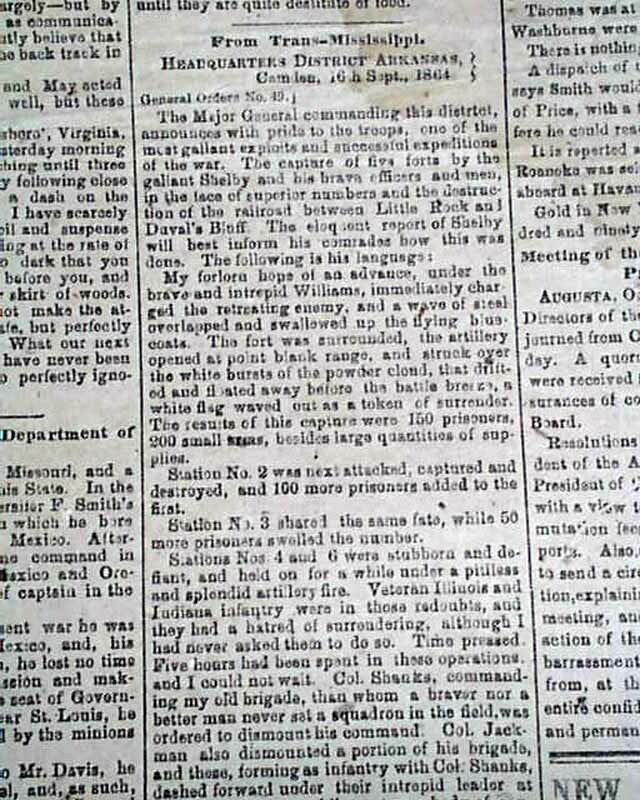 10" and other war-related items. 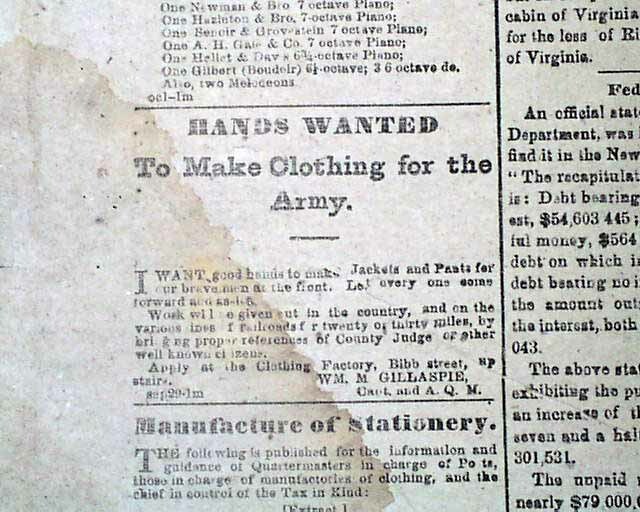 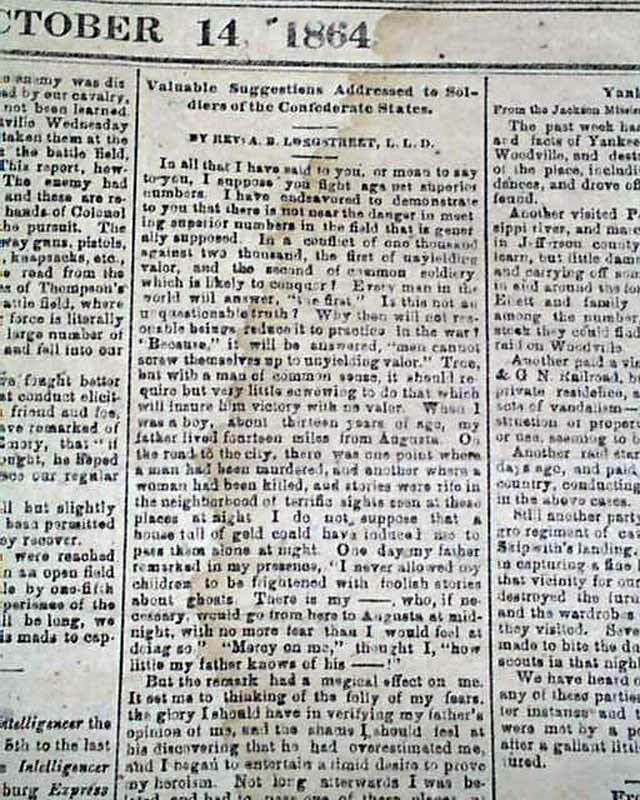 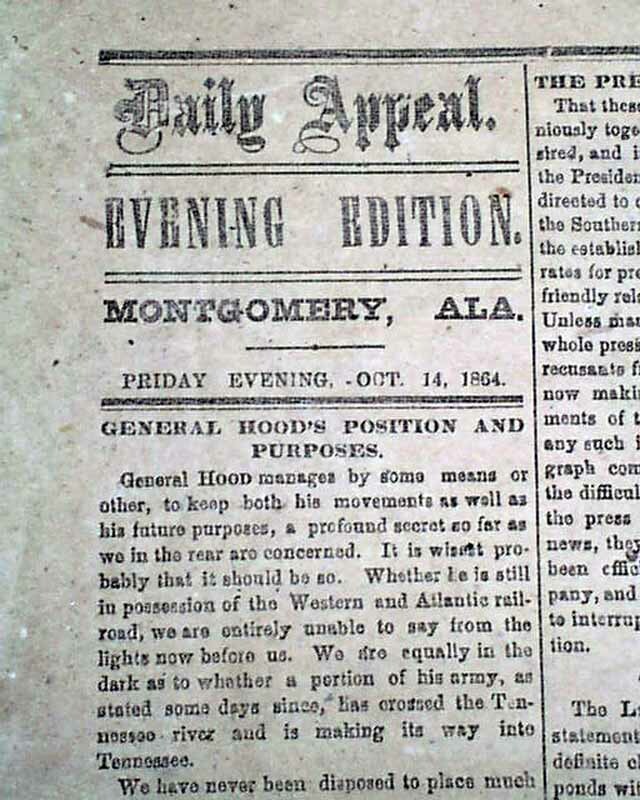 The back page includes: "General Hood's Position and Purposes" "Something Reliable" "A Prudent Forecast" "The Third Alabama Regiment--How it Escaped Capture" "Letter from Forrest's Cavalry" "From Trans-Mississippi" "Reports from Georgia" "Soldiers of the Eighth Texas Cavalry! 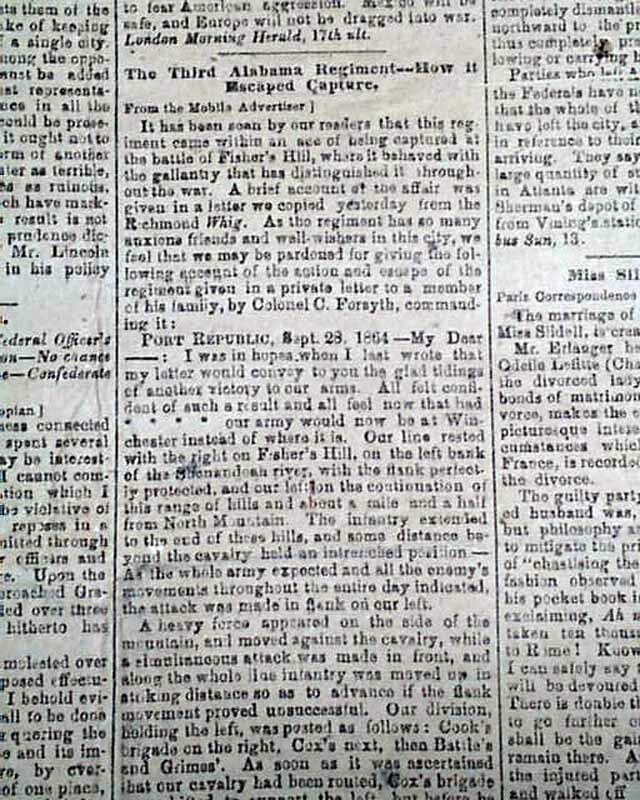 Gallant Heroes! " 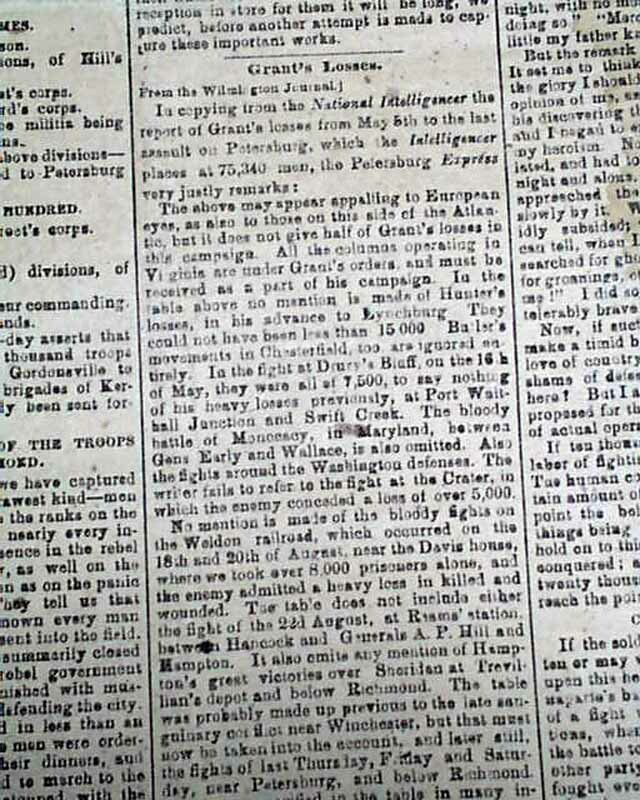 and even more. 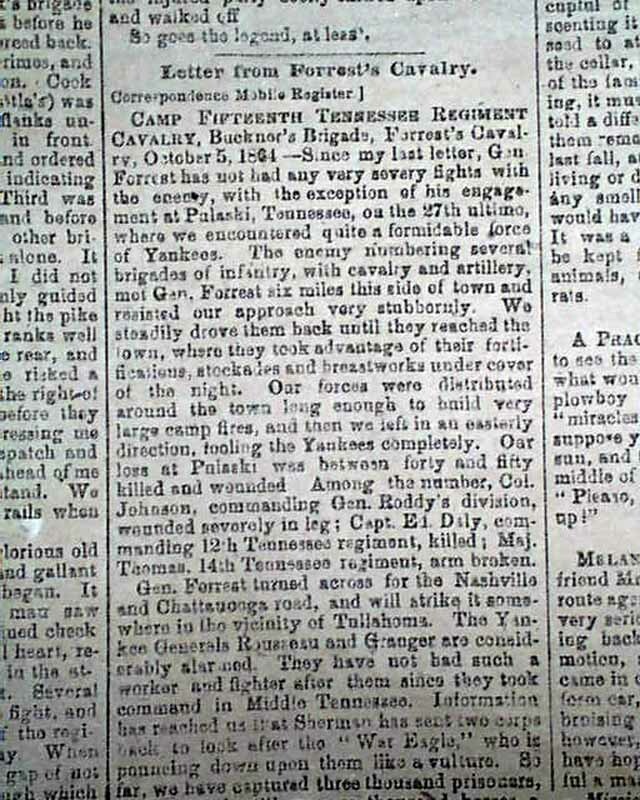 Memphis was a Confederate stronghold up through the Battle of Memphis on June 6, 1862, at which time the Yankees moved in and it became a Yankee city. 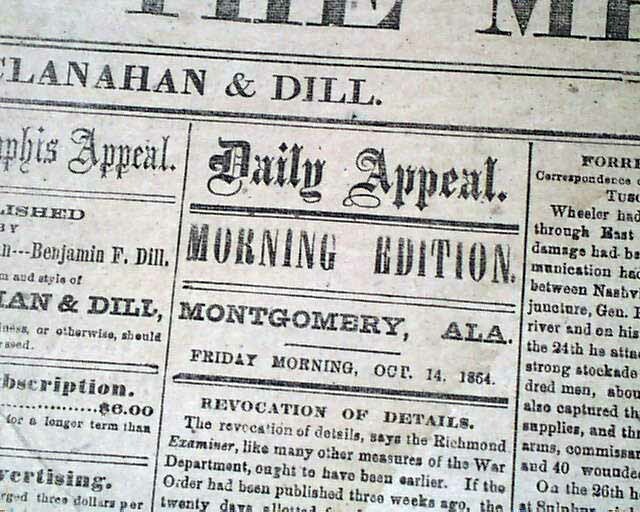 The "Memphis Daily Appeal", dedicated to the Southern cause rallying both civilians & soldiers, it was the most important newspaper of the region, soon famously known as the "Moving Appeal." 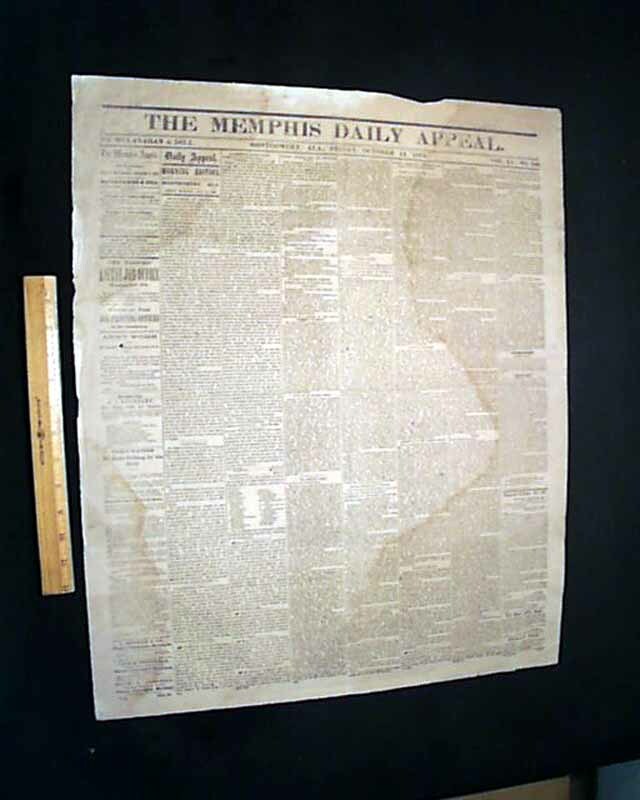 Complete as a single sheet newspaper, some damp staining but causing no loss, never bound nor trimmed, a discrete archival mend to the back page, generally quite nice condition. 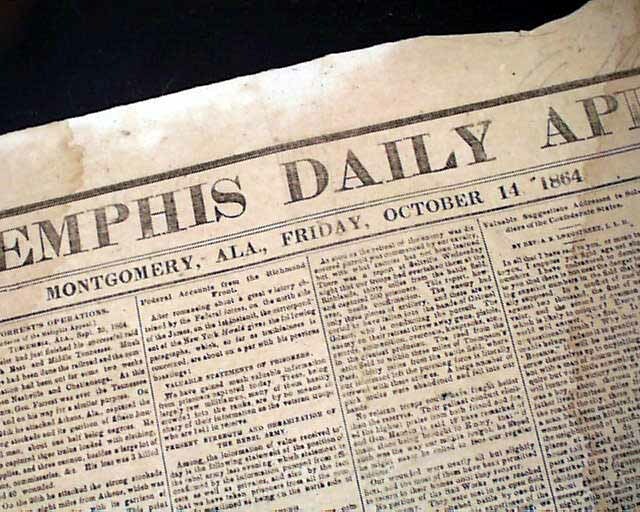 A nice issue of a Memphis newspaper printed in Montgomery, Alabama, and one of only a few Montgomery imprints of this title we have.